Take a break from the city and head to Menagesha Suba Forest Park and Entoto Natural Park. 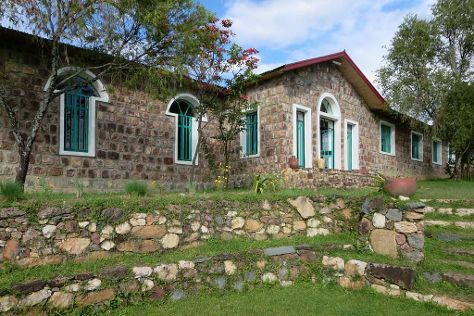 And it doesn't end there: take in the dramatic natural features at Entoto Hill, tour the pleasant surroundings at Gullele Botanical Garden, examine the collection at National Museum of Ethiopia, and don't miss a visit to The Mausoleum of Menelik II. To find traveler tips, photos, maps, and more tourist information, use the Addis Ababa route planner. Amsterdam, The Netherlands to Addis Ababa is an approximately 11.5-hour flight. You can also do a combination of train and flight. Traveling from Amsterdam to Addis Ababa, you'll lose 2 hours due to the time zone difference. When traveling from Amsterdam in October, plan for a bit warmer days in Addis Ababa, with highs around 27°C, while nights are about the same with lows around 13°C. Finish your sightseeing early on the 17th (Thu) so you can travel to Jinka. Jinka is a market town in southern Ethiopia. On the 18th (Fri), examine the collection at South Omo Research Centre Museum. To find more things to do, ratings, traveler tips, and other tourist information, read Jinka vacation planner . Traveling by flight from Addis Ababa to Jinka takes 2 hours. Alternatively, you can do a combination of flight and car; or drive. Wrap up your sightseeing by early afternoon on the 18th (Fri) to allow time for the car ride to Arba Minch. Start off your visit on the 19th (Sat): tour the pleasant surroundings at Arbaminich town,Nech sar national park, Crocodile two lakes. On the 20th (Sun), you'll have a packed day of sightseeing: explore the striking landscape of Nechisar National Park. To find traveler tips, where to stay, and more tourist information, you can read our Arba Minch trip tool . You can drive from Jinka to Arba Minch in 4 hours. In October, daytime highs in Arba Minch are 34°C, while nighttime lows are 22°C. Finish your sightseeing early on the 20th (Sun) to allow enough time to drive to Awasa. 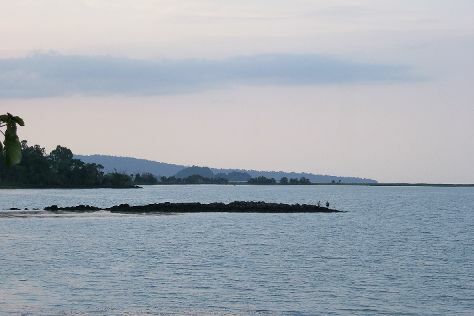 Although Awasa doesn't offer much in the way of traditional sightseeing, the fact that it lies on the shores of the lake bearing the same name allows it to be a destination for those seeking a natural setting. 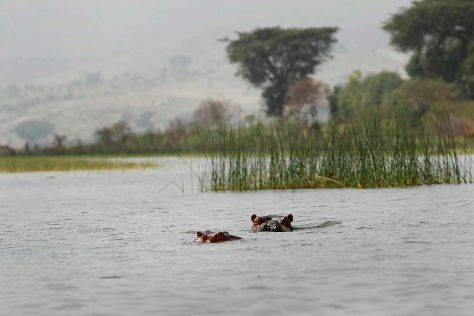 On the 21st (Mon), hunt for treasures at Fish Market and then stroll through Hippo watching on Lake Awassa. Get ready for a full day of sightseeing on the next day: explore the wealth of natural beauty at Abidjatta-Shalla National Park. To find more things to do, where to stay, and tourist information, go to the Awasa planning site . You can drive from Arba Minch to Awasa in 4.5 hours. Plan for a bit cooler nights when traveling from Arba Minch in October since evenings lows in Awasa dip to 17°C. Wrap up your sightseeing on the 22nd (Tue) early enough to travel to Bahir Dar. Start off your visit on the 23rd (Wed): take in the spiritual surroundings of Azwa Mariam Monastery, stop by Ura Kidane Mihret, and then explore the activities along Lake Tana. On the next day, take in the architecture and atmosphere at St George Church, explore the galleries of Lions Art Gallery, then examine the collection at Church of Debre Sina Maryam, and finally take in the dramatic scenery at Blue Nile Falls. To see ratings, photos, more things to do, and tourist information, read Bahir Dar trip planning website . You can fly from Awasa to Bahir Dar in 3.5 hours. Other options are to drive; or take a bus. In October, plan for daily highs up to 29°C, and evening lows to 18°C. Finish up your sightseeing early on the 24th (Thu) so you can go by car to Gonder. Visiting Walking tours and Climbing Tours will get you outdoors. There's much more to do: pause for some serene contemplation at Debre Berhan Selassie Church, get to know the fascinating history of Falasha Village, get some fabulous bargains at Ploughshare Women Crafts Training Centre, and step into the grandiose world of Fasil Ghebbi. For traveler tips, where to stay, and tourist information, refer to the Gonder trip itinerary planning site . You can drive from Bahir Dar to Gonder in 3 hours. Alternatively, you can do a combination of ferry and car. October in Gonder sees daily highs of 30°C and lows of 17°C at night. Cap off your sightseeing on the 27th (Sun) early enough to travel to Lalibela. Escape the urban bustle at Climbing Tours and Abune Yosef. Next up on the itinerary: contemplate in the serene atmosphere at Rock-Hewn Churches of Lalibela, contemplate the long history of Church of St. George, make a trip to Yemrehanna Kristos, and browse the exhibits of The Fine Art Gallery. To find other places to visit, traveler tips, ratings, and other tourist information, use the Lalibela online tour itinerary builder . Getting from Gonder to Lalibela by combination of flight and car takes about 1.5 hours. Other options: drive. 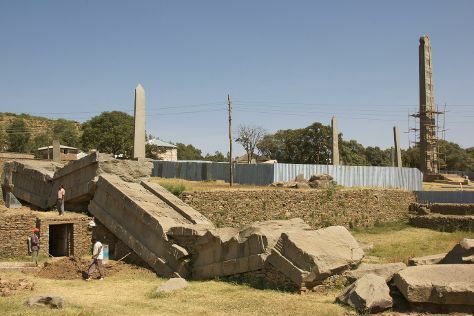 Finish your sightseeing early on the 30th (Wed) so you can travel to Axum. Axum or Aksum is a city in the northern part of Ethiopia. Start off your visit on the 31st (Thu): don't miss a visit to Tombs of Kings Kaleb and Gebre Meskal, steep yourself in history at Northern Stelae Field, make a trip to King Ezana's inscription, delve into the distant past at The Ruins of Aksum, then take in the spiritual surroundings of New Church of St. Mary of Zion, and finally take in the architecture and atmosphere at Arabtu Ensessa Church. On your second day here, stroll around Ezana Park, step into the grandiose world of Chapel of the Tablet, then explore the activities along Queen of Sheba's Bath, and finally explore the ancient world of Queen of Sheba Palace. For photos, maps, ratings, and more tourist information, refer to the Axum travel planning site . Getting from Lalibela to Axum by combination of car and flight takes about 1.5 hours. Other options: drive. Finish your sightseeing early on the 1st (Fri) to allow enough time to travel back home.